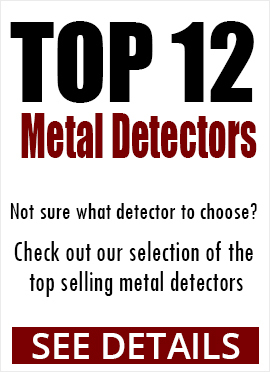 We've created quite the rock crusher inventory at Kellyco Metal Detectors and it's time to choose what will suit you best on your treasure hunts. With all being fairly lightweight and portable, one should have no problem rock crushing on site where the treasures are found. 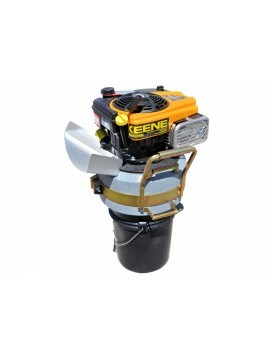 With this being said, our Keene product line is second to none in terms of consumer grade rock crushers as they're built to be your treasure finding companion for decades to come. Since our Keene inventory falls into many different shapes, sizes, and models to suit your needs, they're all guaranteed to get the job done when crushing rock. What's The Difference Between Gas & Electric Rock Crushers? Since both types of rock crushers perform the same job, it mostly relies on the individual's preference. 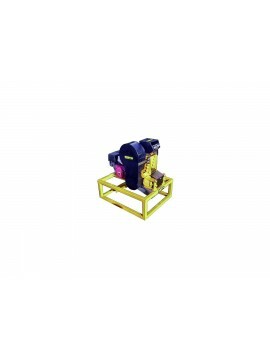 However, it is a well-known fact that gas is much cheaper to operate with when it comes to accomplishing the job at hand. How Small Are The Rock Crushed? The rocks are normally crushed to powder, which only makes it easier to find gold and other treasures that reside inside of the rocks you find. How Heavy Are Rock Crushers? Consumer grade rock crushers are fairly lightweight as they're not crushing a large mass of rock like a rock crushing plant. If weight is an issue for portability, some rock crushers even come with a trailer hitch to make moving to another location no problem. If you're looking for something smaller, there's even handheld rock crushers that require some elbow grease to get the job done. Do I Need A Permit To Crush Rocks? Since many are using consumer grade rock crushers, the answer is likely a no. For large scale/factory-sized rock crushing adventures, a permit is definitely needed before crushing begins. In consideration of the information above, making a decision in regards to what rock crusher to purchase shouldn't be a hard one. As many consumer grade rock crushers are made for metal detector enthusiasts you can be assured that they have been made to be "on the move" when it comes to finding gold.